Earn $18.59 in Rewards credit (1859 points) What's This? Comfort without the weight penalty. 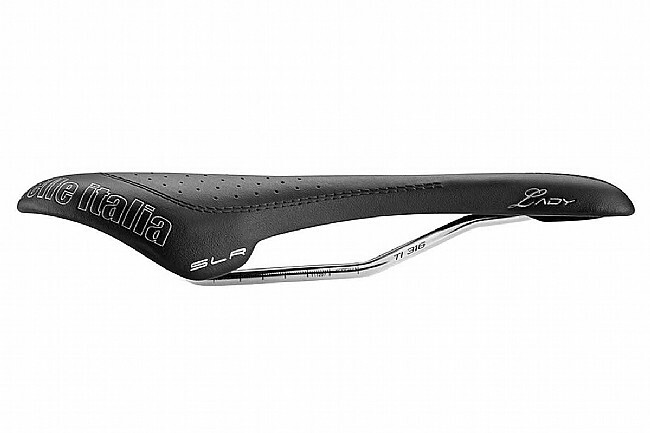 Selle Italia's SLR Lady Flow pairs the proven women's SLR shape with an oversized Flow cutout to eliminate pressure and numbness. The 30% carbon composite shell to provide enough flex for a forgiving ride while keeping weight to a minimum. Self molding padding furthers comfort, delivering body molded support without excessive cushioning. The SLR Lady Flow features a durable, breathable and stylish Lorica cover. This model also gets an upgrade to Ti 316 rails and the low weight and high strength that this particular alloy of aluminum and titanium brings. 135mm x 275mm. The claimed weight is 185 grams. I've had the SLR Lady Flow Saddle on my other bike for a few years and was very happy with it, so when the seat on my new Cannondale Synapse Di2 started to cause me huge pain on long rides, I ordered another SLR Lady Flow from Western Bikeworks. Everyone's tush is different, so when you find a saddle that works, just stick with it. It's also nice looking and light-weight. For me the cut-out is a necessity - - relieves the pressure on all the sensitive areas. Also very happy with customer service rep at Western Bikeworks, who was very accommodating in matching a better price I had found elsewhere. This saddle would be great for a young triathlete. My sit bones knew immediately that I could not take it out on long hauls. After a few rides, this seat feels good. Took me a little getting use to the firm seat. But there is no chaffing like other seats I have had in the past. 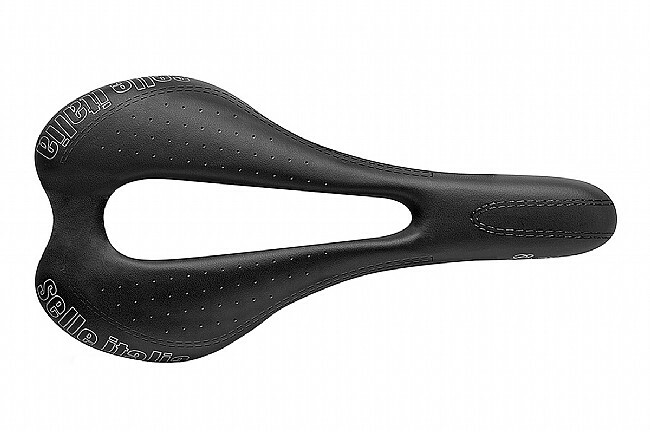 I exchanged this for the fel seat ..this one hurt my sit bones..the hole is a little to large for my frame..
My wife loves this saddle! On a recent cycling trip, nearly all the women admired and wanted one! The large open area is apparently well placed to relieve pressure in the most intimate places. The saddle must be positioned correctly and small adjustments can make a big difference in the comfort, but overall this saddle is the most comfortable one she has ridden.